Exploring the West Berlin Private Tours. Private guides for Personalised Tours. In the last twenty or so years most if not all eyes have been trained on the former East Berlin. From the historic quarter to the artists squats and now newly chic neighbourhoods, East Berlin has really occupied most people’s focus since Berlin reunified. However, the former West is now seeing a huge renaissance, whether it be through corporate development or the new creative scene, the pendulum of interest is swinging westwards again. Beginning with tales of Cold War intrigue and western ingenuity we will trace the events of the Berlin Blockade – the first major crisis of the Cold War. 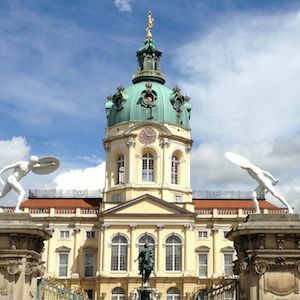 We will explore not only major highlights such as the historic site where JFK gave his infamous speech or the Kaiser Wilhelm memorial church, but we will take you into the back streets of West Berlin where endless hidden jewels await us.